As most people who read this blog know, I spend a lot of time writing about science. However, I read a wide variety of books. Some are fiction, but most are nonfiction. When it comes to the nonfiction books, many are about science, some are about philosophy, some are about theology, some are about modern Christianity, some are about music, and some are about theater. Most of them have something useful to offer, and if I find one of them particularly interesting, I tend to blog about it, which is why I have an interesting books section. However, other than the Bible, most of the books I read do not have a deep, personal effect on me. I blogged about one notable exception to this general rule more than a year ago, and now it is time to blog about another one. Be forewarned. This is not going to be a typical blog entry. It has nothing to do with science, but it has everything to do with Jesus. A few weeks ago, I saw a short video on Facebook about a young lady (Katie Davis) who, at the ripe old age of 16, decided that God was calling her to do mission work. She went to Uganda when she was a senior in high school and then again after graduation, and within a short time began adopting girls who had no caretakers. At the time of the video (roughly three years later), she had adopted a total of fourteen girls and was running a ministry that fed, clothed, and paid the school fees for hundreds of Ugandan children. The video was a promo for her book, Kisses from Katie. I decided to buy the book, and I thank God that I did. It’s fitting that the author looks to Mother Teresa, because she lives out St. Therese’s example better than anyone except perhaps Mother Teresa herself. Instead, on her sixteenth birthday, she told her parents that she wanted to do a year of mission work before going to college. Were her parents on board? Definitely not. They didn’t say “No,” but they made it clear that this was not what they thought was best for their little girl. I can imagine me saying exactly the same thing to my little girl if she had come up with such a crazy idea. Nevertheless, Katie persisted. She began looking on the internet for third-world orphanages that needed help, and eventually, she was invited to one in Uganda. She helped out at the orphanage over Christmas break her senior year, and while she was there, she committed to teach kindergarten at another orphanage for a year right after she graduated. She promised her parents that after her year’s commitment at the orphanage, she would come back to civilization and go to college so that she could have a normal life. Of course, that’s not exactly what happened. Although she and her parents had the perfect life planned out, it wasn’t the life Jesus wanted for her, so he destroyed that life and gave her a new one. He gave her a life where she could daily do small things with great love, ordinary things with extraordinary love. So why did this book affect me so personally? Mostly, because it talks about sacrificial love. Love that demands such real sacrifice that it makes whatever I do for others seem like nothing in comparison. 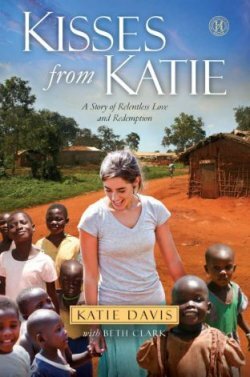 I’m not talking about the sacrifice of Katie giving up her dream life here in the U.S. for the unimaginable poverty of a small village in Uganda. That’s sacrifice, but it barely scratches the surface of what Katie has done in the name of God’s love. I’m not even talking about the sacrifice of adopting fourteen children who have no hint of biological relationship to her. As an adoptive parent myself, I understand that there is sacrifice in that, but there is also real joy in it. I still remember the first day my little girl actually called me, “Dad.” The joy I felt at that moment was worth whatever small things we gave up so that my wife and I could take her in. No…I’m talking about real sacrifice…sacrifice I am almost certain I could not muster. As a parent that’s the first thing I thought of when I read that she took these children into her own home. I thought, “What about your own children?” I am not sure I would have been able to muster the faith to trust that God would protect my little girl from the disease of some strangers. I most certainly couldn’t muster the sacrificial love required to put my own little girl in harm’s way to help out some strangers who, quite frankly, would probably just die of another disease (or starvation) later on. But this amazing young lady did both. What would you do in that situation? I am not sure, but my first thought would be to tell God that if this is how He repays my willingness to serve Him, it’s not clear that I want to serve him any more. At minimum, I would harden my heart a bit to avoid the hurt that would surely come when the next biological mother shows up to remove another of my little girls. But that’s not what Katie did. She trusted Jesus. As a result, she just keeps giving her heart away to His precious children. The truth is that the 143 million orphaned children and the 11 million who starve to death or die from preventable diseases and the 8.5 million who work as child slaves, prostitutes, or under other horrific conditions and the 2.3 million who live with HIV add up to 164.8 million needy children. And though at first glance that looks like a big number, 2.1 billion people on this earth proclaim to be Christians. Katie Davis is doing more than her fair share to make sure there are no statistics left. I know that after reading this book, at minimum, I will strive to do more than my fair share. What about you? 1. Kathleen V. Kudlinski, Mother Teresa: Friend to the Poor, Simon and Schuster, 2006, p. 133. Wow, that sounds like a great book, Jay. I need to watch for that one. Here is a link to Katie’s blog. She doesn’t update it often, but she does keep up with the “big” events in her life. Thanks for the link to her blog, Tracy. I can’t imagine that she has time to blog at all given how full her life is! Wow! Thanks for passing that along, Dr Wile. I will be getting a copy to read with my daughters and praying about what I can do. Also checked out that entry on patriarchy which was very interesting. I had no idea such a thing existed but can see how it could develop. We can make it too much about behavior and ignore the heart and soul – big mistake – and definitely not how God relates to us. I hope you find the book as meaningful as I did, Elizabeth. My wife and I are still talking about what we can do to help Katie’s ministry and others like it. I think I might just need to read that! Thank you so much, that post meant a lot to me! Greetings Dr. Wile!! I really appreciate your blog, it is very encouraging and I often resource you if I get into any trouble with evolutionists! It is absolutely remarkable what people can accomplish when they open themselves up to the plan that God has for them! I was wondering if you had ever read a book called, “The heavenly man” by christian brother Yun? I highly recommend it!! It is excellent reading. It describes how through persecution, God transformed and molded him to touch many lives in communist China. Thanks for your kind words! I haven’t read that book. Thanks for recommending it!